My Milan (Italy): I scream, you scream, we all scream for ice cream! In Italy, and hunting for some fantastic gelato? Run through the mouthwatering ice cream possibilities in this slide show looking for one in the town where you are, or, why not? 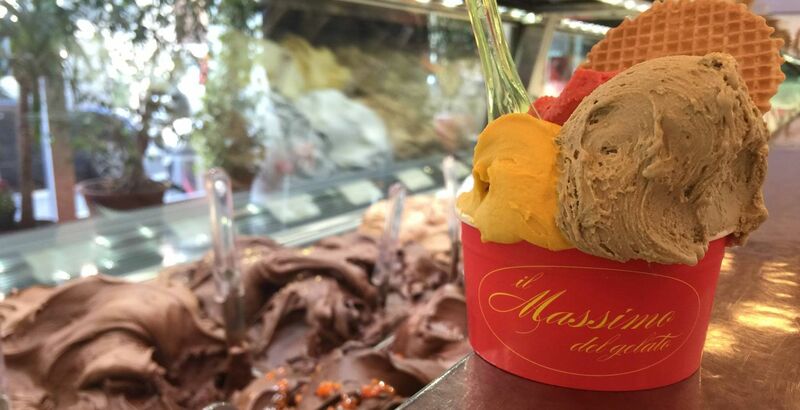 !, plan your vacation around a tour of these 50 (plus one) 'gelaterie.' The site is in Italian, but the names of the stores and addresses are clear. Because they missed out on "Il Massimo del Gelato" (The Maximum/Maximillian of Gelato...the play on words between "maximum" and the founder's name is delightful) in Milan offering the thickest, creamiest, tastiest ice cream I think that I have ever tasted in my whole life. They are opening an ice cream shop in Corso Magenta next to the Palazzo Litta, while their principal seat is in the Corso Sempione area at via Lodovico Castelvetro, 18. That seat is open Tues-Sun noon-midnight, closed on Mondays (as lots of things that stay open in Italy on the weekends are). You're going to thank me...but maybe your scales won't! P.S., I rarely post pics that I haven't snapped, myself, but, heads-up, this tasty one comes from their website.